→The Story Of A Caterpillar Who Refused To become A Butterfly…You Can Help Him Find His Wings! 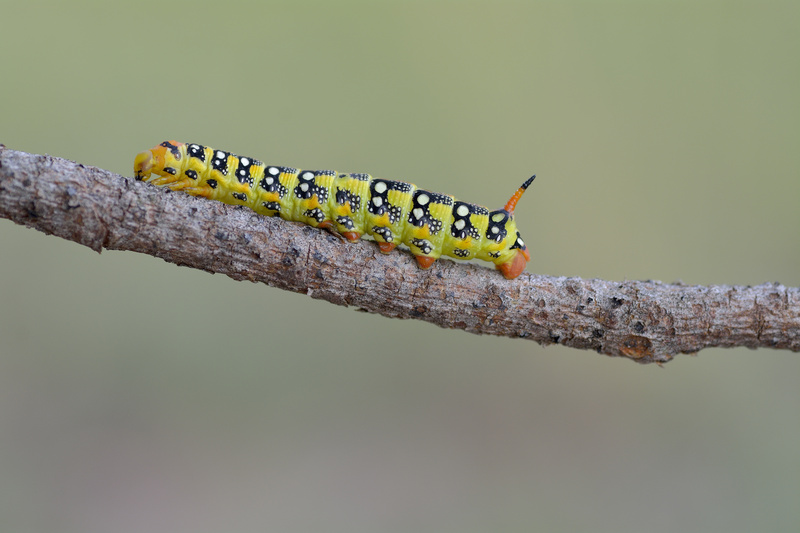 The Story Of A Caterpillar Who Refused To become A Butterfly…You Can Help Him Find His Wings! Cator, the caterpillar who refused to become a butterfly! We all know a caterpillar goes through various stages of transformations before he becomes a butterfly. But Cator, the little caterpillar didn't know that. Cator was an ordinary caterpillar in an extraordinary situation. The botanical garden was his heaven. Food was abundant. He chewed the fresh green leaves when he felt hungry. And then slept peacefully when he felt tired. Life was good. The comfortable life many human beings would pray for! But then, a mean little voice messed up everything. It was nagging him to become a butterfly. He felt helpless, "Why am I going through this hell? Is there no way out of this grave situation?" And then, in utter desperation, he smacked his body on a wrinkled tree branch. Got bruised. Deeply. But he didn't stop. He banged himself again on the scratchy tree. That disturbing voice was worse than the physical pain. He was chewing a dark leaf. Though his stomach was full, the leaf was so juicy he kept gnawing at it. In that exact moment, he heard a faint voice, “Cator, listen carefully!” He looked around and saw no one. He cautiously turned his head to look back. No one was there. He panicked, lost his balance and tumbled into a dense cluster of leaves. He felt safe in that darkness. No prying eyes could find him there. No preying beaks could reach him now. He shrank himself, sat there for a long time. And then he heard the voice again, “"Cator! You have been a good caterpillar, now it's time for you to become a butterfly!” He was so afraid he closed his eyes, and realized, the voice was not out there, but echoing in his own body. It was not an ordinary voice but the divine order which turns all caterpillars into butterflies. They can't think these things out, so they simply follow the order. But, a quirky thing happened to Cator. He began to think. He remembered the earlier ordeal when he was inside the egg – a tiny egg. There was no room to move around. Nothing to eat. After a few days he was so hungry he ate the egg-shell and came out. Memories swelled up in him...In that moment of freedom, the hunger was such he devoured the milkweed leaves he was lying on. That was a bad experience. The latex got stuck to his body and in his mouth. It was a struggle freeing himself from the leaves. Many of his brothers had died in that process. The other day he heard a botany guide telling the students, “When a mother Monarch butterfly lays 120 eggs only about 1 survives”. He was the strong one, who survived. He truly earned the comfortable life. But the mean little voice was ordering him to go through another ordeal. Why should he follow the orders from nowhere? As he was thinking things over, the voice returned. This time accompanied by images--The images of a colourful butterfly, flapping wings, and the open skies. But Cator knew it was a trap. The voice told him to hang himself upside down, to leave himself at the mercy of unknown forces, to surrender to the mother nature. He just couldn't entertain the idea. Hanging yourself upside down is not fun! It was a historic moment! He was the first caterpillar ever to deny the divine forces. But those forces were unrelenting. In spite of Cator's denial a strong shell was appearing and encapsulating him. It was the divine plan to protect him when he would be upside down. Cator felt helpless. He stopped eating. Even the juicy dark leaves tasted bitter. He hit the branches with all his might to break the protective shell. But the shell was strong. Little Cator was angry. The pain and anguish was too much and the inner voices were turning him mad. One night, he mustered all his strength and pulled the shell in. To his surprise, it got sucked in, and the shell created a shield inside him. Those alluring dreams and voices would now remain inside the shell, won't bother him. And that was it. He remained a caterpillar forever. Ate more leaves. Lived the same life everyday. The life of sameness and comfort. And died peacefully. The legend has it that his soul passed through many other births. He became a fish, a pigeon, and a deer. And his inner protective shell remained intact. He never tried to become the best fish, the best pigeon or the best monkey he could become. He lived and died in his utter ordinariness. Again and again. And again. Till one day, when he became a human being in his journey through the lives. In this life he had a comfortable life, an easy career, a loving family. And by some strange logic he happened to read the story of the caterpillar who refused to become the butterfly. As a human being, he felt pity for the poor caterpillar, and thought why the little Cator chose to live an ordinary life, when he could have become a butterfly. Why the poor creature crawled when he could have flown to distant lands? As he was reading that story shared by a friend, sympathizing with the poor caterpillar, a realization hit him. He began to reflect, "Am I the Cator, reading my own story now? Still protecting myself from my dreams, still living the ordinary life, still refusing my greatness and clinging to my comfort zone?" As the Cator-man read on, the author of the caterpillar story summarized, "Dear reader, you have 2 choices! You can once again forget the magic inside you. Or take a deep breath and tell yourself, the ordeal of becoming the true self is better than the ordeal of living the life of sameness, fearfulness and denying your dreams. It's your moment to realize your true potential!" Cator-Man took a deep breath! The story must take a new turn now! Puneet Bhatnagar, popularly known as Creative Punito--is a business innovator. An expert on SME business growth. He is a well-known creativity and innovation trainer, author, columnist and storyteller.